Stock status is current as of 4/21/2019 2:58 AMET. 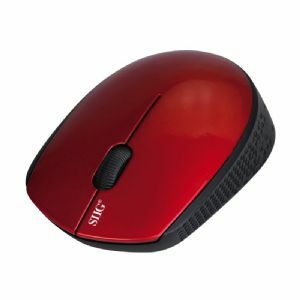 SIIG's 3-Button Wireless Optical Mouse - Red provides smooth and precise navigation with great wireless convenience. Advanced 2.4GHz wireless technology allows up to 33ft of operating distance without the hassle of tangled wire. Built-in scrolling wheel enables fast navigation for general operations or web browsing. User-friendly power saving feature is also supported to prolong battery life. This ergonomic wireless optical mouse helps minimize fatigue after hours of use and is a great tool to meet your everyday computing demands.